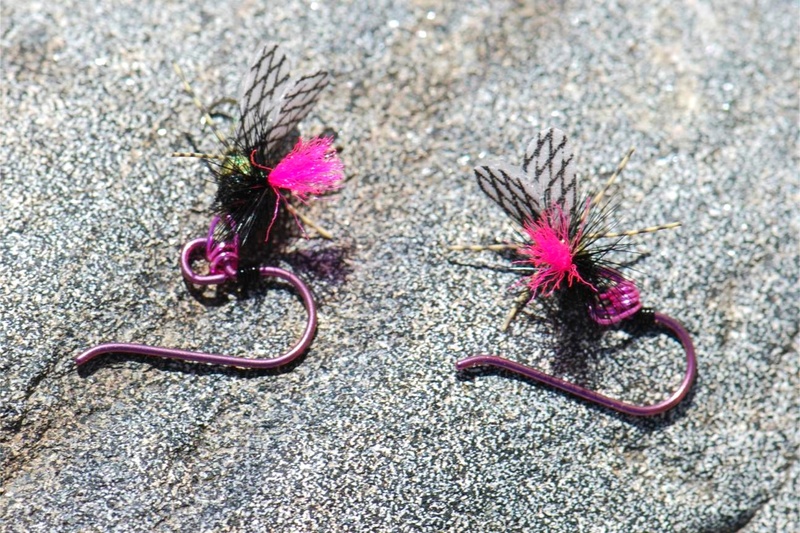 These earrings are 3/4" wide by 3/4" long and are made from real Fishing Flies. The hook has been left on but ground smooth for safety. 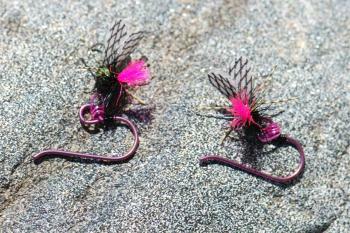 The ear wires are electric pink colored niobium shepherds hooks, and are hypoallergenic. Join our mailing list to receive product updates.